Actress Taapsee Pannu has taken inspiration from her “Pink” co-star Amitabh Bachchan to play a lawyer in the “Mulk” courtroom drama. 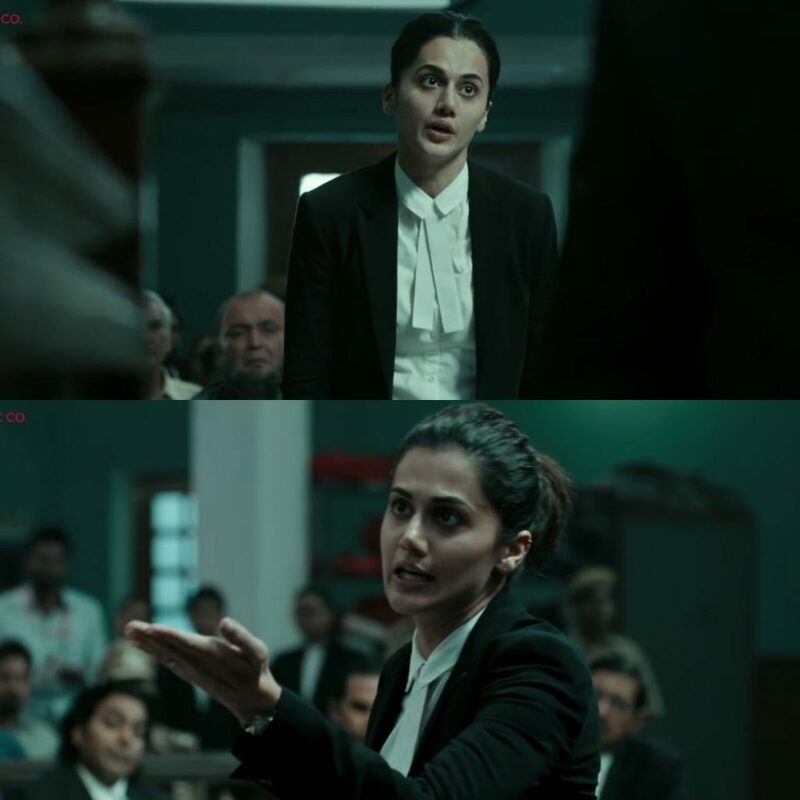 Amitabh became Taapsee’s reference point for her role, which sees her seeking justice for a client she believes is being framed owing to his religion. “Bachchan Sir’s character in ‘Pink’ was the best point of reference for me. Since I have worked with him in the film, I watched him closely and learned how he executed the role,” Taapsee said in a statement. “While we are diverse as actors, and the situation my character is in, is different, there were specifics that I picked up from watching him personally. His sternness and conviction is something that I took observed closely. He could build the personification that the character needed. His dedication to his craft, his discipline and his focus is commendable,” she added. Presented by Kamal Mukut and Soham Rockstar Entertainment, a Benaras Media Works production, the film is produced by Deepak Mukut and Anubhav Sinha, who has also directed. The film also features Rishi Kapoor, Neena Gupta, Rajat Kapoor, Manoj Pahwa, Kumud Mishra and Ashutosh Rana.